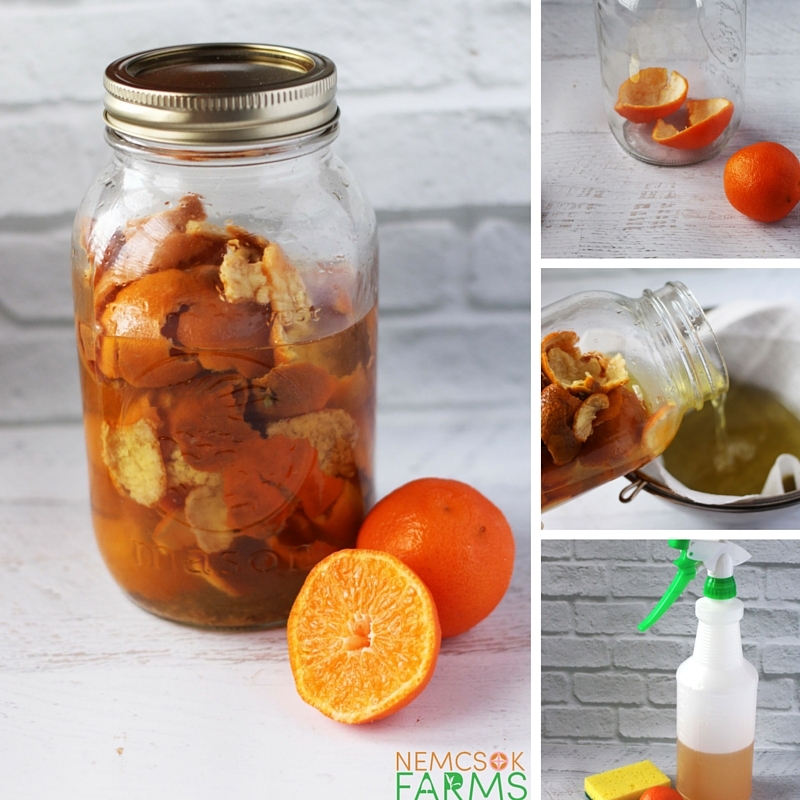 If you are a subscriber to our newsletter, you already know that we are introducing a new series this year, “Homemade Cleaners, Healthy Home” and I am so excited to be sharing with you the first homemade cleaner recipe a Homemade Orange Cleaner. My friend Jennifer over at Study At Home Mama (she’s brilliant!) has put this together and I couldn’t be more pleased! 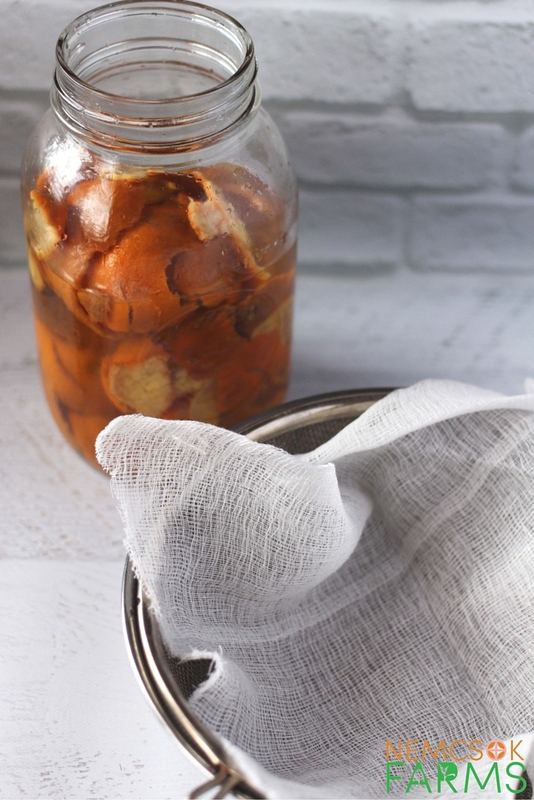 I’m so excited to be sharing with you the first homemade cleaner recipe in our new “Homemade Cleaners, Healthy Home” series: a Homemade Orange Cleaner. 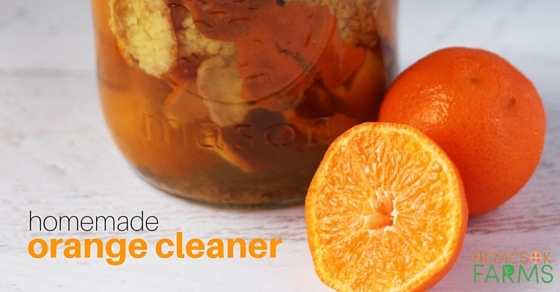 This Orange Homemade Cleaner is my go-to all-purpose cleaner. It’s great for wiping down the kitchen and bathroom, and is also great for mopping. 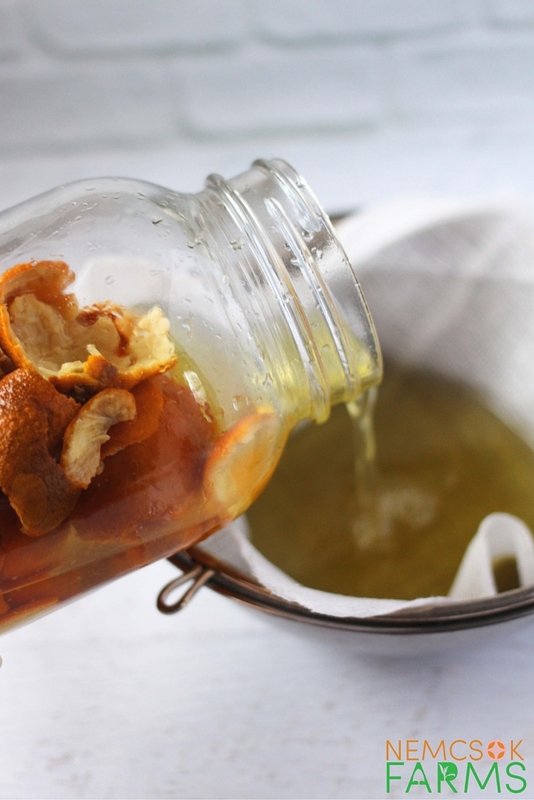 If you’re in a rush and don’t have time to let your jar sit out for a week or more, you can swap out the orange peels for orange oil. I start off by having a “heavy on the oranges” day. 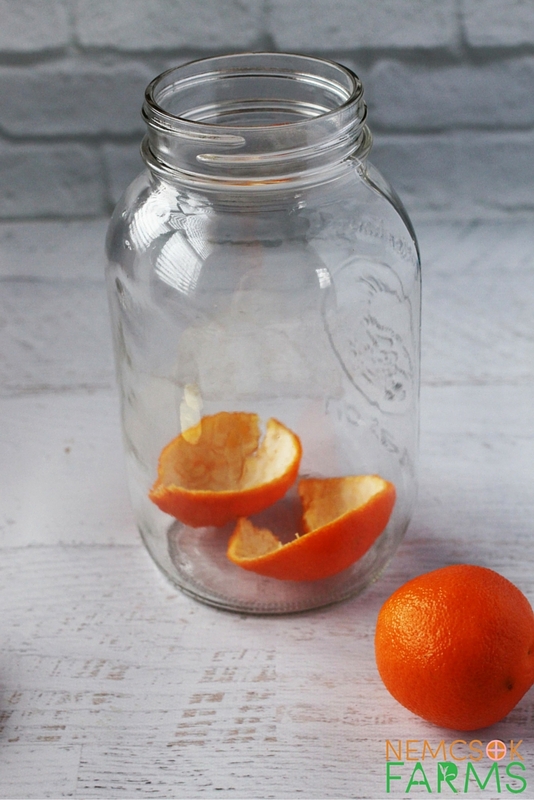 Encourage oranges with every meal and snack time, and save all of those orange peels in your mason jar. At some point that day, I top up the mason jar with vinegar – pure, distilled white vinegar – and leave it somewhere close enough to add additional orange peels to, but somewhat out-of-the-way so I can let the vinegar extract the orange oil and take on that wonderful citrus scent. I started off with about 5 orange peels and added another 20 or so throughout the week. The orange oil helps cut through grease while also being more pleasant than using vinegar alone. Wait at least a week before removing the peels – this solution can sit up to a month as long as all of the peels are covered by the vinegar. 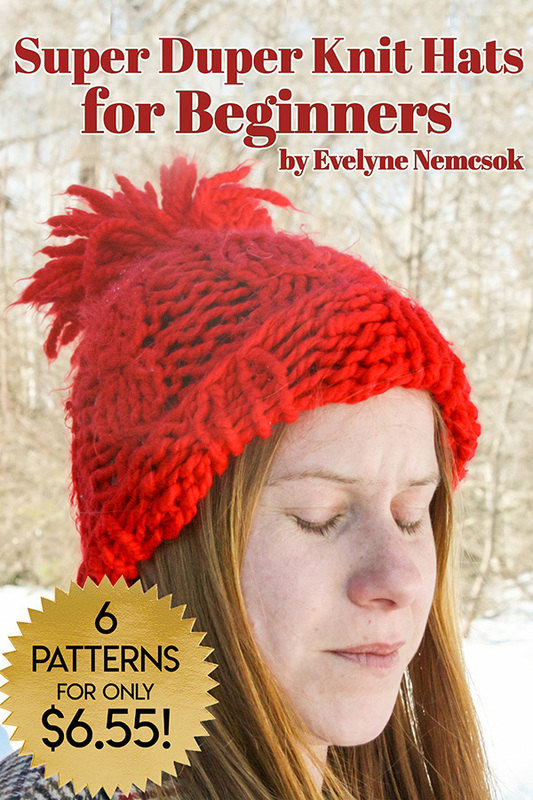 Line a sieve with a piece of muslin or paper towel and strain your solution into a bowl or second wide-mouth mason jar. 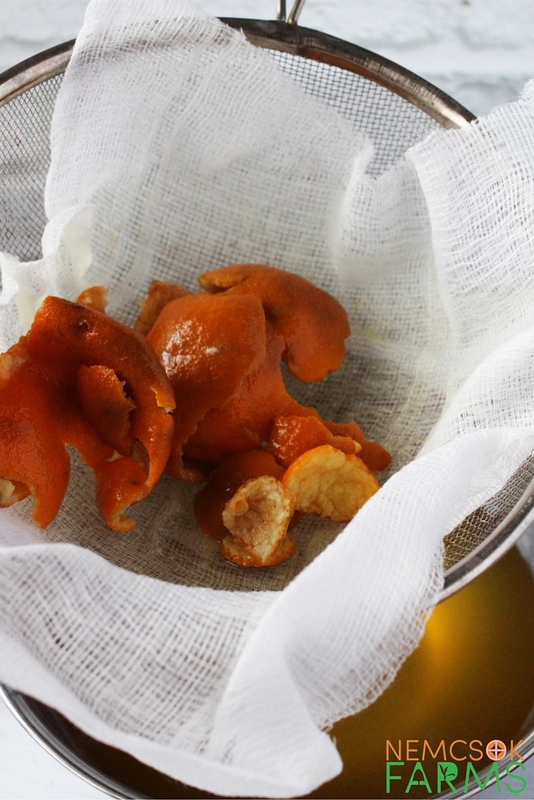 Dispose of the orange peels and if your solution is at all cloudy, strain it again. At this point you can add a few drops of tea tree oil if you want your homemade orange cleaner to have anti-bacterial properties beyond what is naturally offered by the vinegar. 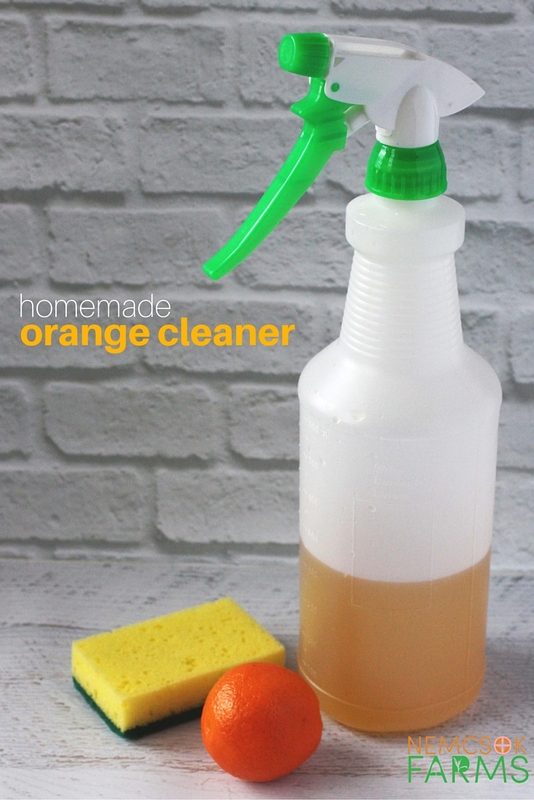 Using a funnel, carefully pour the orange cleaner into a spray bottle and label it. To clean with your homemade orange cleaner, use a light coating of spray and completely wipe down an area. You do not need to use water to wipe away the cleaner but can if you want to. For mopping, use about 1 cup of orange vinegar to every gallon of hot water. What do you currently use to clean your floors and counters with? 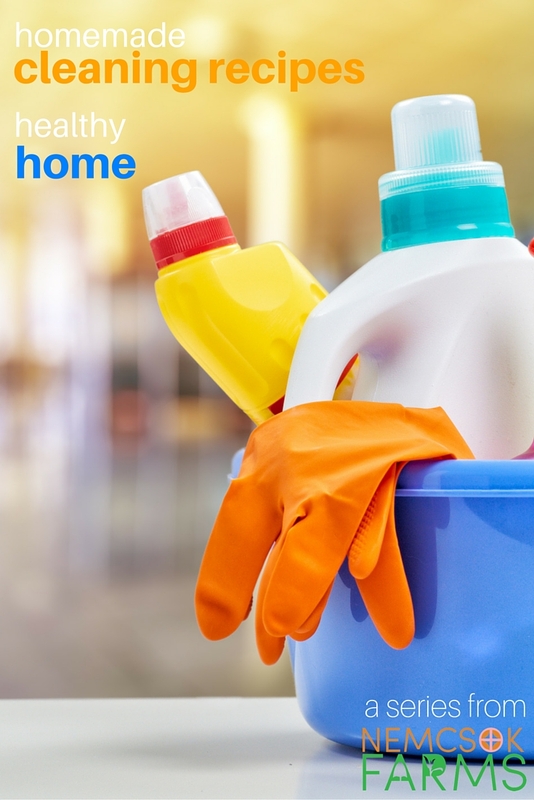 Would you consider switching to a homemade cleaner? 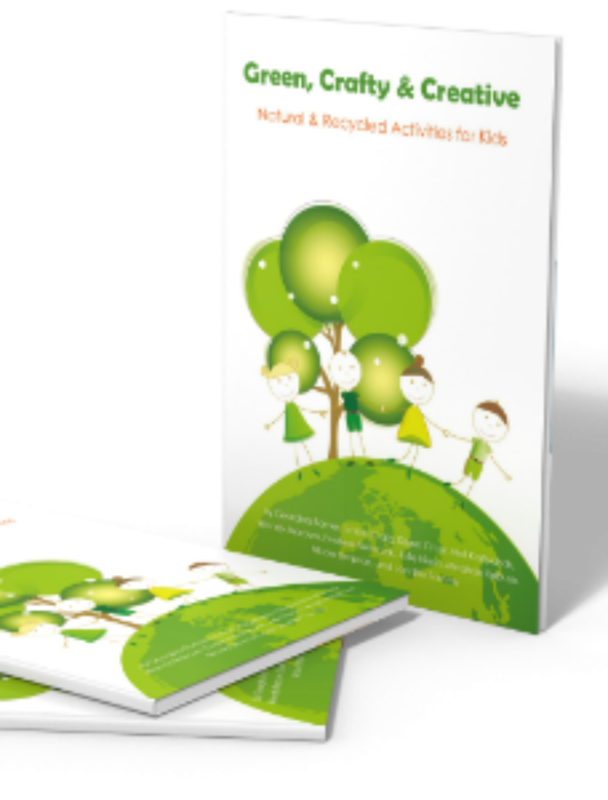 Sign up for our newsletter also, so you will be sure to catch the next installment in the series!